Sophia Barnett petting Odin, with officer Chad Brown. A city-wide birthday party was held Friday for one of Rhinelander Police Department’s newest recruits. K-9 Odin, who joined the force last fall, turned two years old February first. Odin, the department’s fourth K-9, goes to work with Brown every day, riding with him to every call. But sometimes he stays in the car, depending upon Brown’s assessment of the situation. “There’s a lot of situations I just can’t bring him into because if I have him with me he is the only tool I can use at that moment,” Brown said. 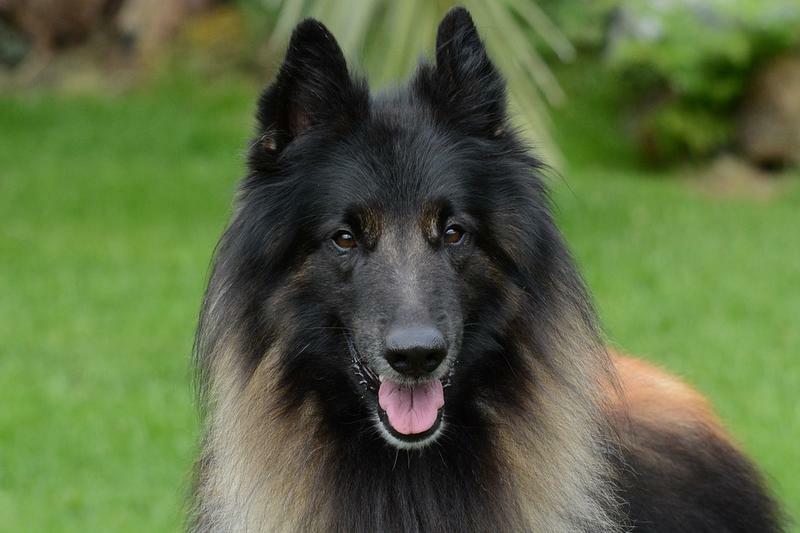 “So I have to assess the situation before I can bring him out of the car, really.” Brown added that he and Odin are a team, which is why it is called a “K-9 unit.” “He’s no good without me, and I’m no good without him,” Brown said. Rhinelander Police have been selected as the first police agency in the region to receive a K-9 unit dog from a facility in Kronenwetter, and it will be a memory of an Everest Metro police detective killed in the line of duty. 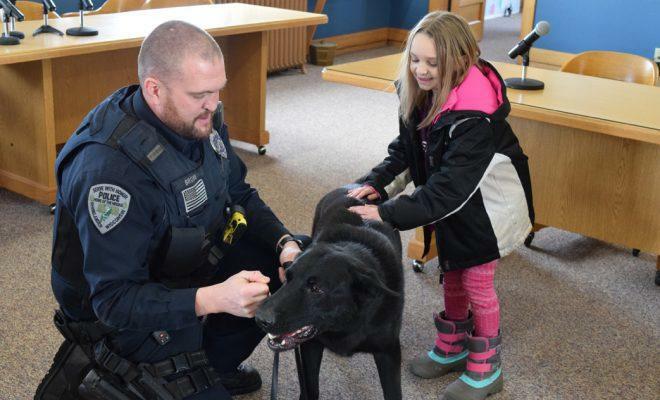 Rhinelander Police Chief Lloyd Gauthier says Crossroads K-9 Rescue informed him last week they were the first agency to get a dog from their program.